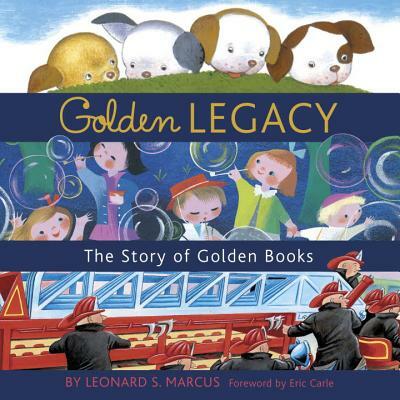 Eminent children's historian Leonard Marcus' Golden Legacy chronicles the fascinating story of the creation, marketing, and worldwide impact of Little Golden Books, the most popular children's books of all time. Launched during the dark days of WWII, Golden Books such as The Poky Little Puppy were an instant sensation. Hallmarked by their superlative quality yet affordable to nearly all, they changed the cultural landscape and mirrored our changing postwar culture: the powerful influence of television, the post-Sputnik renaissance in American science education, and the birth of the civil rights movement. Lavishly illustrated with the iconic Golden Book covers and colorful artwork generations of children have pored over, Golden Legacy is a compelling tale of mavericks, innovators, and renowned authors and illustrators. . . a stirring celebration of the humble books in which we scrawled our names, with the cardboard cover and the shiny gold-foil spine. LEONARD MARCUS is one of the world's most respected historians of children's books and the people who create them. His own award-winning books include Margaret Wise Brown: Awakened by the Moon and Dear Genius: The Letters of Ursula Nordstrom. A frequent contributor to the New York Times Book Review and Horn Book Magazine, Marcus has been featured on NPR's All Things Considered, ABC's Good Morning America, and BBC Radio 4. He is a founding trustee of the Eric Carle Museum of Picture Book Art and is the curator of landmark exhibitions at the New York Public Library and elsewhere. He teaches at New York University and the School of Visual Arts, and lectures about his work throughout the world. Marcus holds degrees in history from Yale, and poetry from the University of Iowa Graduate Writers Workshop. Visit him at leonardmarcus.com.